Summer is here and with it sun-seekers are heading to beaches across Europe. The location and open-plan layout of beach bars and restaurants can make it a challenge to entertain those who want to drink and dance while keeping other patrons - and the neighbours - happy. But at Italy’s Bazzano Beach, a Yamaha audio system has solved the problem. 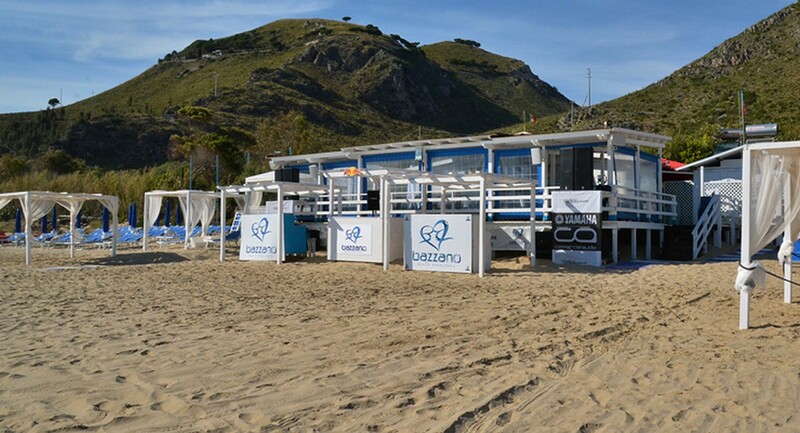 Its audio system comprises two main elements - fixed loudspeakers for the venue’s restaurant, terrace and the beach in front of the building, plus a movable dance system which covers a bigger area of the beach for the summer weekend events Spiaggia Italiana, which features DJ sets and live performances on Saturdays, and Session Sunday guest DJ sets. To provide maximum control, the system is divided into 11 zones and is controlled by an MTX5-D matrix processor. The MTX5-D fulfils a number of roles - these include managing the remote control of the system via Yamaha’s Wireless DCP app, limiting the maximum volume of all loudspeakers and managing inputs from an RX-V577 AV receiver and an announcement microphone. Used for letting customers on the beach or terrace know that their table is ready, when this microphone is used the MTX5-D’s onboard ducker automatically reduces the volume of the music in all zones except the restaurant.